Reading too much about the current crop of “presidential” candidates? Those guys were two of my childhood heroes. I’d vote for them. 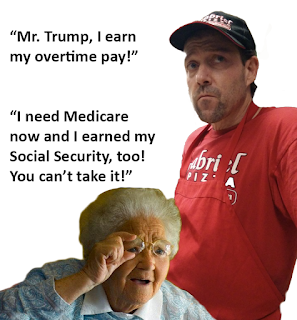 But, what exactly did they really believe? 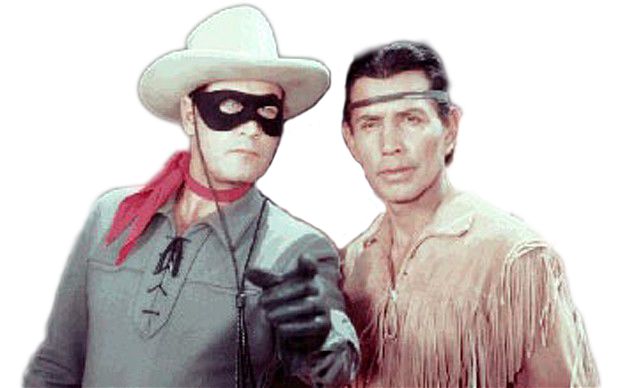 Here’s some stuff you may remember (or not) about the Lone Ranger and Tonto. They often called each other "Kemosabe". O.K. I know many people believe that word translates from rough Spanish, “quien no sabe” to “he who doesn’t understand” in English. But I prefer another perspective. 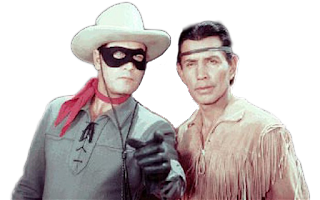 Since the original radio version of the Lone Ranger was broadcast from Detroit, I accept the translation of the Potawatomi Indian* word which means "faithful friend" in English. The Lone Ranger only used silver bullets because they represented life and life is precious. Life, like bullets, shouldn't be wasted. Silver became the Lone Ranger’s trusty horse after he fought off an enraged buffalo and saved Silver’s life. Why was he called the Lone Ranger? Because he alone survived an ambush in which the Cavendish gang killed five other rangers, including his brother. Now, if one of those people who want to be President were to have Tonto for his Kemosabe... well, then, I might consider voting for him (or her). Still, my guess is that those days of yesteryear are not going to come to pass for us this time.